From taking on regulatory burdens to improving health outcomes for patients, there are several issues that physicians need to manage in today’s day-to-day independent medical practice. In 2004, Dan Rodrigues, founded Kareo to change the world of independent practice by replacing the expensive and complex medical billing and practice management systems that doctors have today. “Our vision is to provide independent medical practices with cloud-based technology solutions that significantly reduce the burdens of running a medical practice, enabling providers and their staff to maintain their focus on delivering outstanding patient care,” says Rodrigues, the CEO of Kareo. 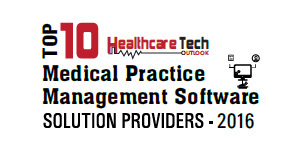 Kareo’s Practice Management solution is purpose-built for the unique needs of independent medical practices, so that practice managers can focus on what matters most—caring for patients. It is simple and easy to use, with tools and software streamlining everything from scheduling and storing patient information to sending insurance claims and collecting balances. “Whether the client is a doctor, manage a practice or run a billing company, Kareo has the tools and software to make their job easier,” says Rodrigues. Kareo helps healthcare providers to maximize their most valuable resources–the physician's time through the firm’s medical practice appointment scheduling practice. Kareo’s intuitive system provides healthcare providers with a daily, weekly, and monthly calendar views with color-coded appointments, which is organized by provider, resource, and service location. The firm’s Practice Management Software also allows practice managers to quickly enter patient demographics and insurance information easily for verifying insurance coverage prior to each patient visit. With an intuitive and interactive dashboard, the firm presents a visual guide to the key performance indicators—such as charges, adjustments, receipts, accounts receivable balance, days revenue outstanding, and more. The firm also provides users with an integrated document management system that allows clients to scan paper documents to create digital images and secure them online. Users can also attach any scanned or digital document to the appointments, patient records, encounters, providers, and more. These documents can be accessed from any home or office computers— significantly moving towards a paper-less office. Clients can also preview and access professional grade reports on the screen, and take full-advantage of the impressive drill-down capabilities. Kareo’s easy to use, affordable, cloud-based practice management and medical billing software benefits more than 20,000 medical providers to efficiently manage the business and clinical sides of their practice. The firm’s practice management is more manageable as it enables small practice physicians to get paid faster by storing patient records, verifying insurance eligibility, submitting electronic claims to insurers, posting electronic insurance payments, billing patients, managing accounts receivable, and much more. In one instance, Kristi Wallace, FNP-C—a certified family nurse practitioner offering a highly personalized care had the best EHR systems, but did not have a suitable software to manage all the billing and medical documentations. To make her job easier, Kristi approached Kareo to spend very little time on her practice management and medical billing tasks and spend more time with patients. By leveraging Kareo, Kristi was able to submit claims daily, has low A/R, almost no denials, and gets paid in less than 25 days, on average; in many cases much sooner. Kareo’s robust software is built with three clear goals—configurable to medical practice, connects seamlessly with billing and its ease of use. In the upcoming years, the firm avows to remain true to its philosophy of achieving its goal by bringing in more innovation into its software, alongside with added features to make practice mangers job easier.